Use in plasterboard walls and ceilings. Spring Toggle 6 x 75mm (10 Pack) is rated 3.9 out of 5 by 9. Rated 5 out of 5 by Aleksess from Holds fast Used these for putting up floating shelves. 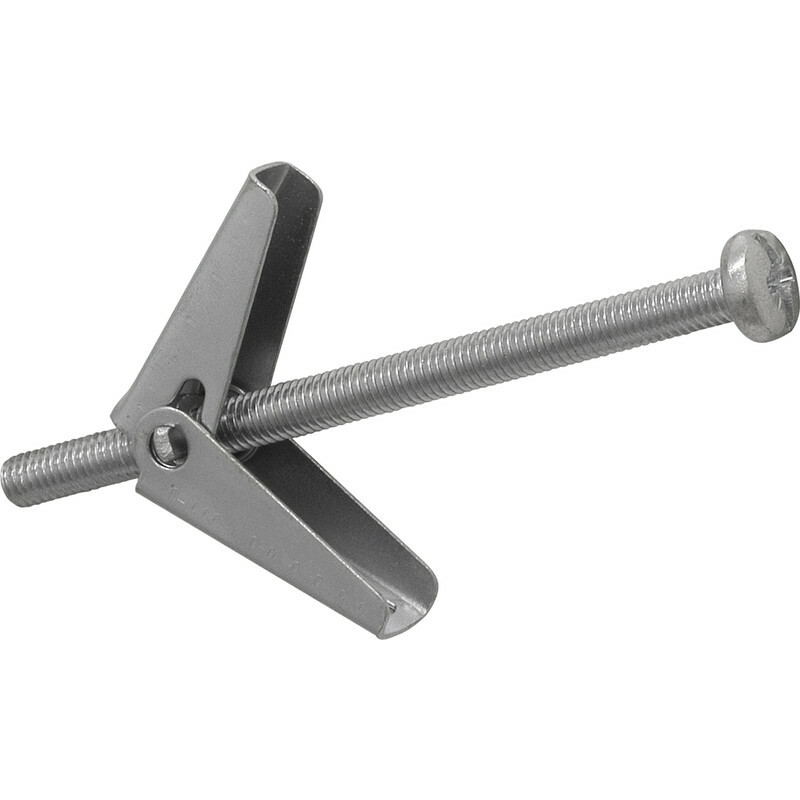 Originally bought the Timco zip-fix but the M6 screws were too big for the shelf bracket. Went with these M5s and they worked a treat. It was a struggle to get the toggles through my thick plasterboard - check yours, other than that they are good. Rated 5 out of 5 by Corky from Spring toggle Good clips easy to use and at a good price. Rated 5 out of 5 by PJW11 from Spring Toggles. These fixings are of good quality and ultra reliable. Have used them for years. Recommended where other fixings would be inadequate and not physically string enough. Rated 5 out of 5 by Sime from Ideal for fixing where tolerance is essential I had a tricky job fixing blinds through plasterboard. Because of the hole size 11mm and the screw size 3mm, once the fixings are inserted it gives the opportunity to humour the rail until level. A good buy. Rated 4 out of 5 by MRMR from 'Cheap and Cheerful' product Bought the M3 version to attach a towel ring to a hollow door - this is a low cost product which is more than adequate for this type of task, just be careful not to overtighten.